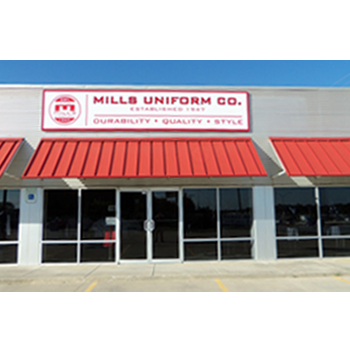 Mills maintains a network of year-round and seasonal retail stores in four states. 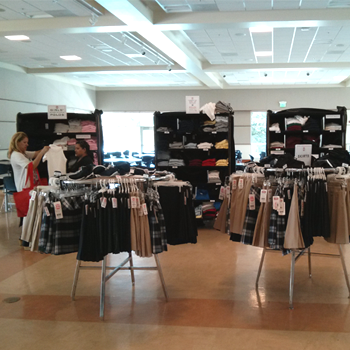 Mills retail stores feature school-specific merchandise in designated areas for each school making shopping for the right items simple and easy. 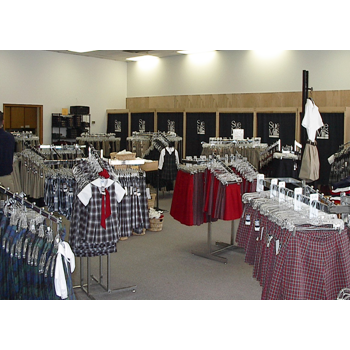 Our knowledgeable retail associates know our schools programs and are available to assist your parents and students with program and garment-related questions. 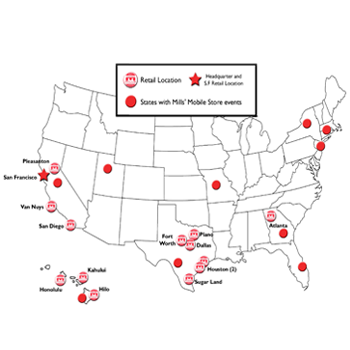 During peak seasons, our retail stores feature extended hours and additional staffing and may be available year-round for in-store events. 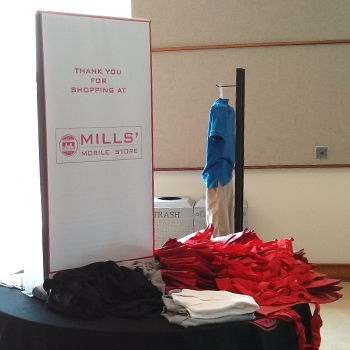 Mills pioneered on-campus events where we bring a fully-stocked Mills Mobile Store directly to your campus, complete with Mills staff, sizing specialists, portable fitting rooms and a full-selection of garments for try-on and purchase. 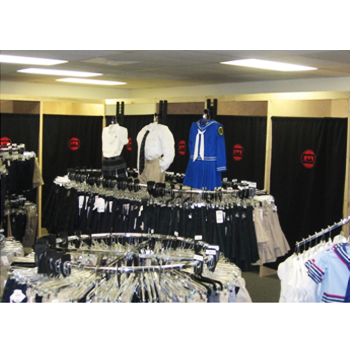 We build each of our schools a simple-to-use dedicated webstore that's branded with the school's logo and presents their uniform program by grade and gender. 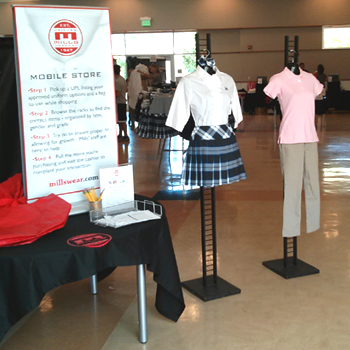 This makes shopping easy and convenient for families who prefer the flexibility of shopping online. Our webstores work on all desktop and mobile browsers and are secured by state of the art encryption (via a COMODO SSL signed certificate) to ensure sensitive information is kept private. 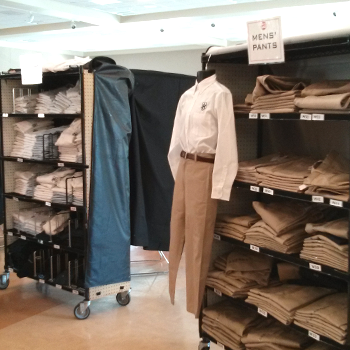 We also build each school a Uniform Program Listing, which presents program requirements by grade and gender - this Uniform Program Listing is available for review or printing through our schools webstores. 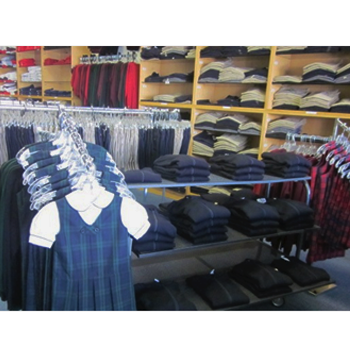 Mills' toll-free Customer Service is available year-round and staffed by employees that are knowledgeable in our school's uniform programs and can assist with any questions - from uniform programs to delivery to garment care. 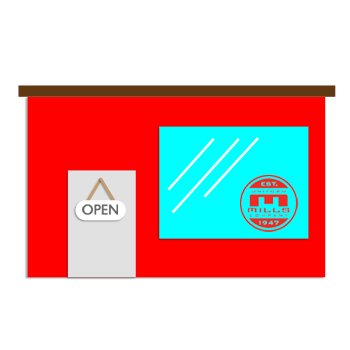 Our Customer Service professionals can also take orders directly over-the-phone for parents who are not comfortable with online shopping or may need additional help. We stand behind all of our products with a "No Questions Asked" product quality guarantee. 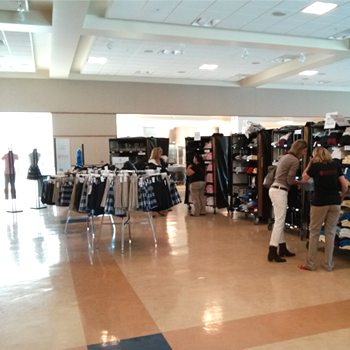 Defective items may be returned at any time for replacement or merchandise credit.